trip to Phoenix to see a holistic MD/Homeopathist she had heard speak at a couple conferences suggested she had Lyme disease...never would have guessed, but he was correct! 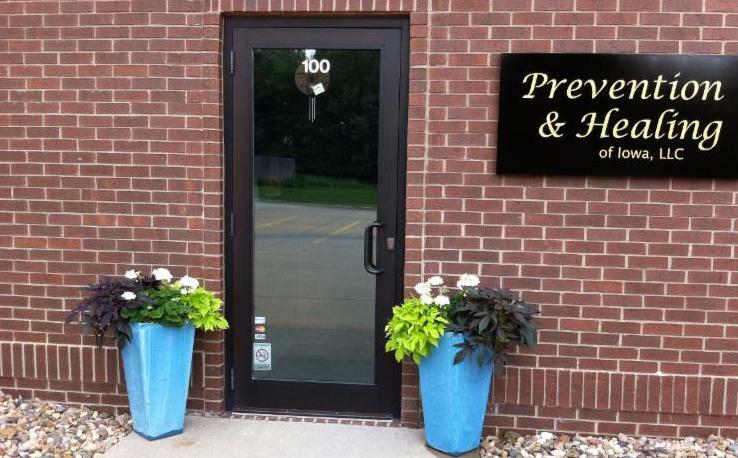 In February 2006, Prevention & Healing of Iowa (P & H) opened for business. 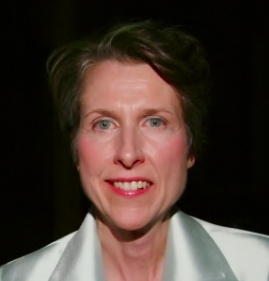 Carolyn Walker had been attending holistic classes and conferences from the mid-1990s to that point in hopes of opening her own "complementary" clinic. One of her earliest conferences was to attend a Harvard-sponsored "Complementary and Alternative Medicine Symposium" in Boston amongst many others. In March 2006, she attended the Institute for Functional Medicine's "Applying Functional Medicine in Clinical Practice." She was fascinated with Dr. Jeffrey Bland's monthly CDs where he interviewed holistic practitioners from around the world on various health topics. The "functional medicine" concept is starting to gain popularity and Carolyn is happy to have been one of the leaders in the State of Iowa to practice in this way. She is grateful for all of her patients she has served in their journey for better health and healing. My husband retired in February, 2014. In July 2015, my daughter, son-in-law and family moved back to Des Moines. I now have two grandchildren nearby! My adult son also lives in the area. I've cut back my schedule to 3 days /week so that I may enjoy a bit more time with my family. For my existing patients for whom I am prescribing medications, you MUST be seen at least yearly to monitor efficacy. This is simply good practice on my part. Some cases may require more clinic visits than others depending on seriousness of health issues/medication prescribed. My schedule has less openings now to accomodate those who do not show up for pre-scheduled office consults. Please check your schedule in advance to be sure to remember to be at the clinic at your pre-arranged time. Janet calls all patients the week before scheduled appointments as a reminder. For those who do not show up and do not call us 24 hours in advance, you are at risk for being charged $150 for a "no-show" fee. All patients sign a Policy and Procedure form that explains this. Lately, we have had various "no-shows" which makes this unfair to patients on a wait list that could have been here instead. It makes it more difficult to find a time to reschedule you. It makes it more expensive for me to manage overheads/keep an office in a great area of town. ...please help us by keeping your appointment or at least giving us ample notice to work with you and others to manage the schedule. Electronic filing and billing of health care is now the norm in most clinics but not all. I've elected NOT to participate in electronic filing/billing because of the fee-for-service structure of my clinic. As my patients know, we DO give them a claim form with appropriate codes that they can self-submit to their health insurer for possible reimbursement/application to deductible. Having said that, I receive requests from time to time to fill out various insurance-related forms from both patients and health insurers. It appears as though I will be needing to fill out more online "pre-authorization" forms on some medications that my patients have been taking (sometimes for years) and insurers would prefer be changed. Many times my patients are quite happy and do not want to change medications. This is just a reminder that I will need to charge for my time addressing any insurance-related paperwork. This is also addressed in the Policy & Procedure form. Lastly, I just want to reiterate how much I enjoy practicing using functional medicine modalities. I've found my work to be so rewarding as many people regain their health.